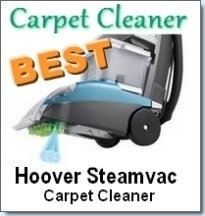 Choosing a Hardwood Floor Steam Cleaner may be a daunting task but we have thoroughly examined the hard floor steamer to determine which types and models are best for your flooring needs. The beauty of hardwood floors is one of the reasons why so many people install them. They add charm and sophistication to any home so cleaning them to ensure that they maintain their illustrious shine is quite important. Some ways of cleaning include mopping, sweeping, waxing and polishing the floors. However, if you want to give your floors a much deeper clean then a hardwood floor steam cleaner is a must have. A hardwood floor steam cleaner can easily get rid of and eliminate bacteria, allergens, mold, dirt, mildew, dust mites etc. However, when selecting a wood floor steam cleaner, do make sure that you buy a steamer that produces dry steam at high temperatures. Also, ensure that it does not leave behind any water. Why? Wood and water do not mix very well. Even though there are many models on the market that claim to be fine to use on your hardwood floors, do your due diligence to ensure that you buy a steamer that produces very dry steam that is safe for your wood flooring. Have a look at our VaporClean pages to learn more about dry steam. 1. 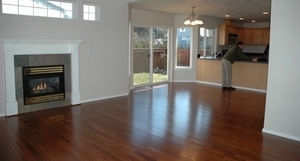 Buy or rent an appropriate dry hardwood floor steam cleaner. 2. Add water to the tank of the steam cleaner- preferably filtered water to prevent scum from building up. This is only if the steamer does not have a filter to remove this. Set up the steamer as directed by the manufacturer and allow for the stated “prep” time. 3. Do a pre- clean of the area you intend to steam clean. Gently sweep away any dust or dirt from the surface of the bare floors. 4. 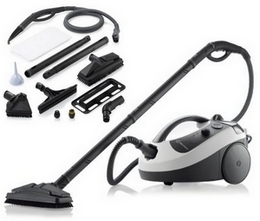 By the time you’ve completed the pre clean, your steam cleaner would be ready to be used. 5. Run the steam cleaner along the lines of the floor boards until you have completed a small area. 6. Then, use a clean cloth or towel to run along the floor to ‘pick up’ any residual water left behind. There should be no water on the floor though. This is simply a precautionary test. 7. Repeat until you have cleaned the entire area. Don’t worry too much about your floors- Most floors are finished with a plastic coating called polyurethane as well as with finishing seals that are supposed to protect your floors. After cleaning, you may want to finish off those floors by adding a bit of wax or polish to give them that beautiful shine. 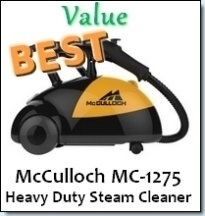 This powerful machine cleans basically anything and is a true multi purpose cleaner. Much research and painstakingly precise design has gone into this exceptional steamer and it shows. It reaches temperatures of 210°- 220°F and dirt almost melts away. It is excellent value for money and very popular with consumers. Read the full review of the Vapamore Steam System. 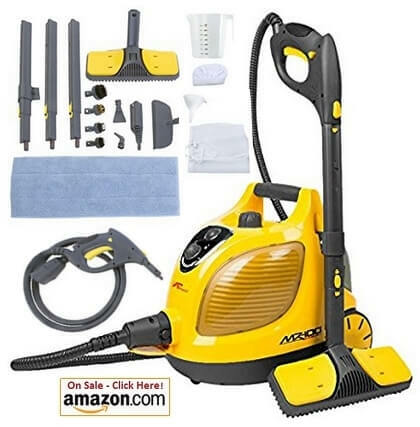 This is a very power steam cleaner that comes with multiple attachments so that you can use it for different uses around the home. It delivers superior dry vapor that eradicates bacteria and dirt. It’s a steamer that was definitely built strong with a stainless steel tank. It takes 10 minutes to heat but provides 1.5 hrs of cleaning time. It comes with a pressure controller and the boiler can reach temperatures between 302°F – 320°F. 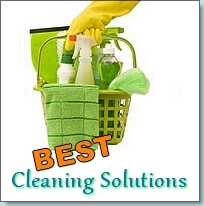 It is also quite easily maneuverable and provides professional grade cleaning for your home. 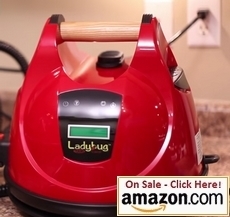 The LadyBug cleans faster, better and deeper than most other residential grade steam cleaners. The hot vapor provides superior deep cleaning that can hardly be rivaled. It sports fingertip controls, non pressurized water reservoir, low water signaling, 8 year warranty on the boiler and 3 years on parts, 58 psi, 285 degrees and 1500W Heating ability. This is simply an amazing machine that never fails to impress. If you have floors that are robust (like tiles) that don’t need to be handled with extra special care, have a look at the Steam Mop pages to find the best steam mops available. 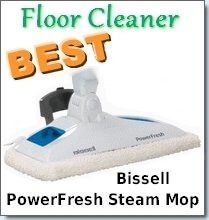 Even though the above suggestions are not traditional “Hardwood Floor Steam Cleaners” they were suggested as oppose to the numerous mop- type available from brand such as Bissell, Shark etc. This was simply because steaming your Hardwood floors is a practice that should be done with high grade dry vapor steamers, especially if you are looking to not take chances with damaging your expensive hardwood floor. Tile Steam Cleaner Reviews A tile steam cleaner can save you time, energy and effort when it comes to getting your tiles and grout clean. No need to “break your back” scrubbing grout. See our recommendations for the best Hard Floor Cleaners according to price.